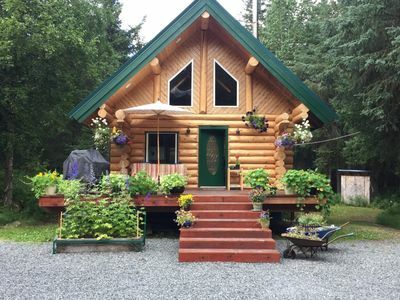 The Little Green Cabin a very rustic getaway in the heart of Hope, Alaska. 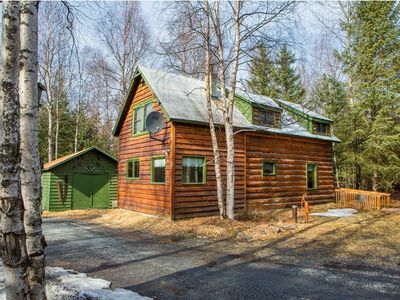 This vintage cabin is an ideal retreat for the savvy camper who wants the comforts of a real bed and wood stove without the grand expense of luxurious living. 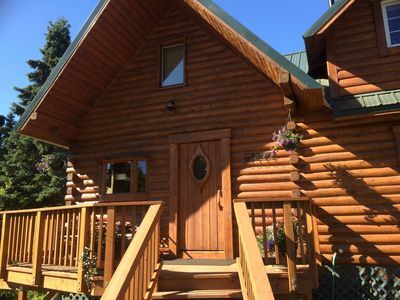 We describe this cabin as the next step up from tent camping. It is extremely comfortable, cozy, and affordable. 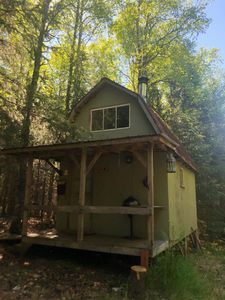 There aren't many bells and whistles, and the campers who most love this cabin are looking for just that - an isolated retreat that removes you from the every day busy-ness of life. 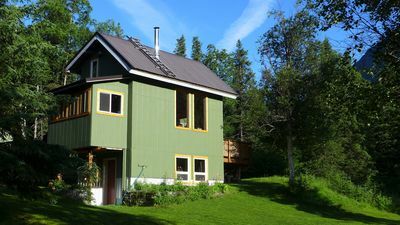 The Little Green Cabin has a queen size bed in the loft (all linens provided) and 2 pull-out couches in the living area (if using the pull-out couches, you will want to bring a sleeping bag or other such linens, as only the queen size bed in the loft includes linens). 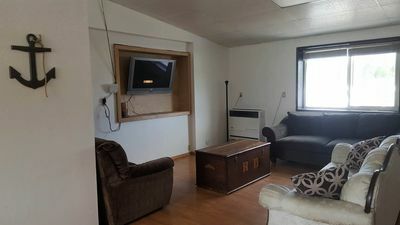 Both pullout couches cannot be fully laid out at the same time very easily, so most guests choose either the single bed or full sized couch bed. But, if you get creative, it can be done. 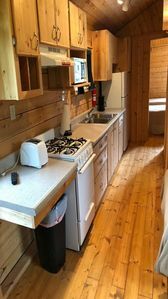 The wood stove and electric heater will keep you plenty warm in the evenings, and the mini fridge will keep your food plenty cool (be sure to bring 12” long firewood if you would like to strike up the stove or fire pit). 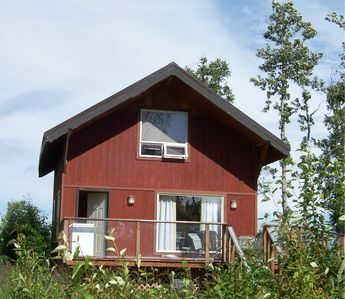 The Little Green Cabin is approximately 300 square feet with an additional loft overhead. 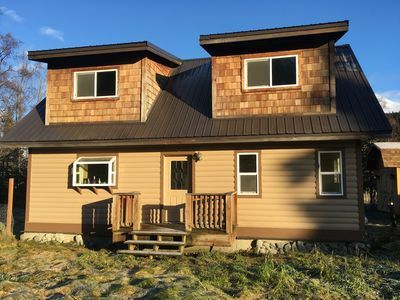 It is sweetly decorated with country touches, and is an adorable retreat at an extremely affordable price. 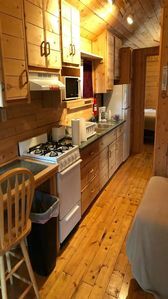 The cabin has a front porch for relaxing on, and a small portable gas grill to cook up your dinner. 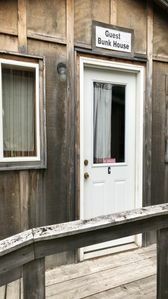 The fire pit is shared with the neighboring historic Hirshey Cabin, and it is surrounded by wooden chairs and a picnic table. 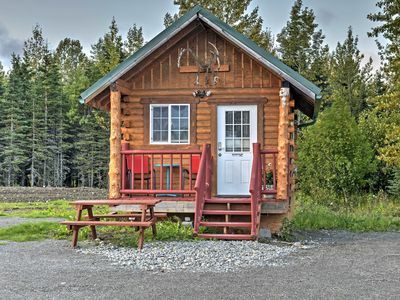 The Little Green Cabin has a small dinette set for playing cards or enjoying a snack indoors. 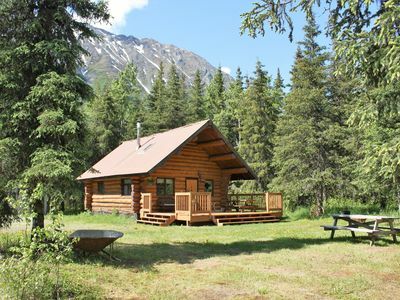 The Little Green Cabin is considered a 'dry cabin' in that it does NOT have running water in the cabin. 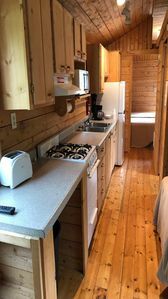 The newly finished Wash Hut is next door and offers showers, a sink and indoor plumbing as well as a washer and dryer for laundry. WiFi is sketchy at best, but at times a signal can be picked up. 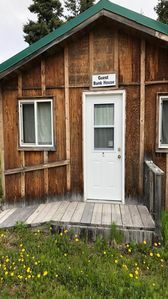 The Little Green Cabin is located at Mile 16.25 on the Hope Highway, just 1/4 mile from downtown historic Hope, Alaska - the perfect walking distance to all of Hope's nearly untouched attractions. Just take a right at the large wooden fish on the side of the road. 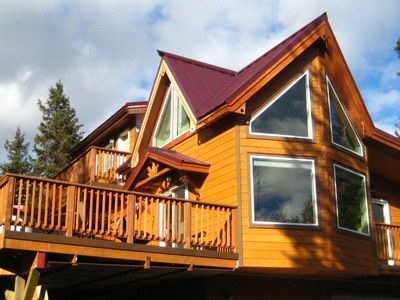 - A spirit of Alaskan adventure! You’re going to love it. We promise. - There is a TV/VHS player with some movie options. But if you want to bring your own vintage VHS tape, feel free! 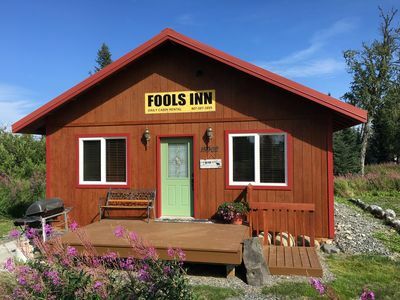 We hope you are excited about staying in an authentic Alaskan getaway. You won’t forget it! 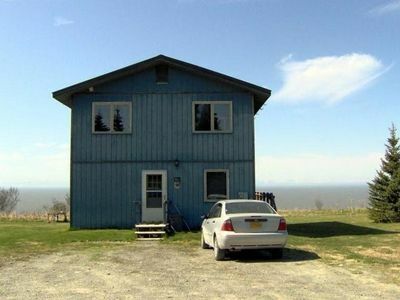 "Greenshore Cottage", Breathtaking View. Sleeps up to ten. 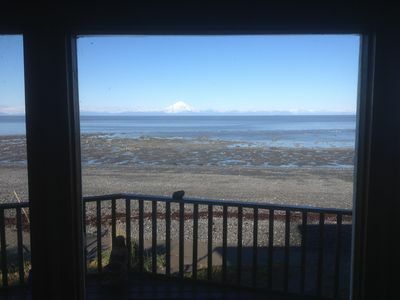 Explore Seward, Cooper Landing and Kenai Peninsula from one central location. 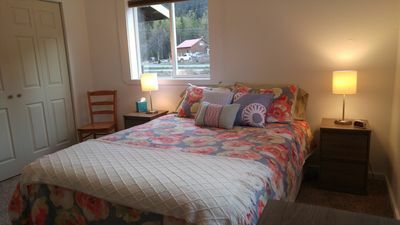 Mountain View Lodging - Freshly renovated 2 bedroom apartment! 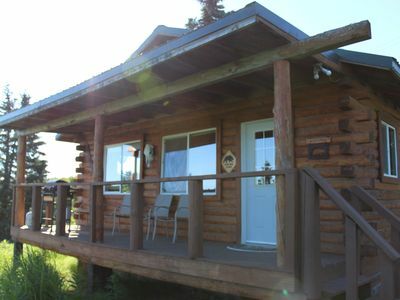 Chalet In The Pass is a custom built log cabin with modern touch.